100km from Barcelona lies the second largest city of Catalonia - Tarragona. It is the capital of the Costa Dorada or “Gold Coast” and is steeped in ancient history. If you fancy a break from the crowds and noise of Barcelona, take a trip here, and spend your day exploring the monuments and relaxing on the golden sands of this beautiful city. Tarragona is primarily known for its many well-preserved monuments dating back to the Roman period, which are scattered decoratively throughout the city. Here, you will find traces of antiquity which hint at Spain´s glorious history, it´s hard to find another city like this all over the Iberian Peninsula. Initially, the inhabitants of the current Tarragona were the Iberians, then the Carthaginians and from 300 BC, Tarragona was in the hands of the Romans. It was originally called Tarraco and was a military base, from where the Romans set out to conquer the peninsular leaving behind them historical architecture, whose crumbling but beautiful remains we can still enjoy today. The ancient Roman ruins of Passeig Arqueològic were placed on the list of UNESCO World Heritage Sites in 2000. The site includes an amphitheatre, theatre, circus, city walls, Roman necropolis and an aqueduct, which lies outside the city. 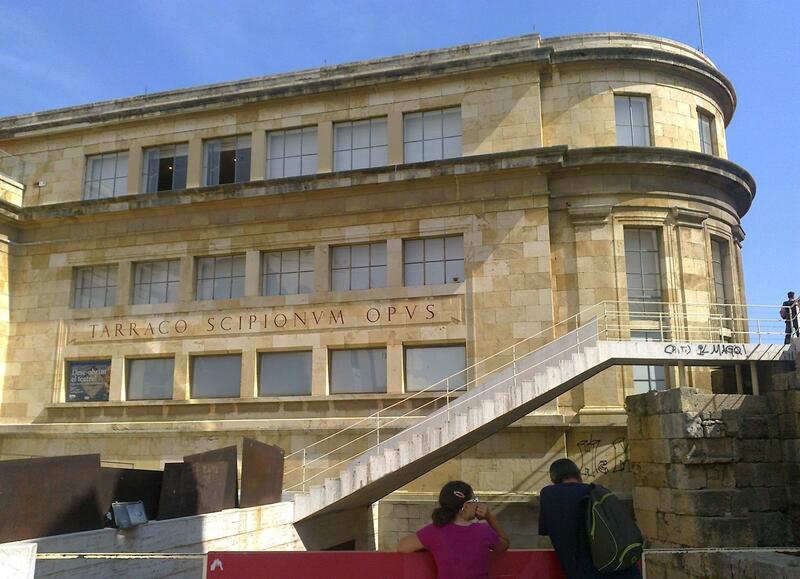 Let us begin our tour of Tarragona with a visit to the tourist centre, where you can get a free map of the city. The Roman Amphitheatre can be found outside the city walls, close to the coast. The theatre could accommodate a crowd of 15,000 spectators, who came to watch gladiator fights and wild animals, executions and chariot races. From the amphitheatre you can enjoy a magnificent panoramic view of the sea. The walls surrounding the old part of the city, were originally around 4km long, all that remains now is a 1km stretch and a gate. The Museo Arqueológico Nacional de Tarragona, the oldest museum in Catalonia, collects a lot of historical Roman items including sculptures, mosaics, coins, sarcophagi and pottery. The museum exhibits computer models of buildings, exhibitions and multimedia movies. 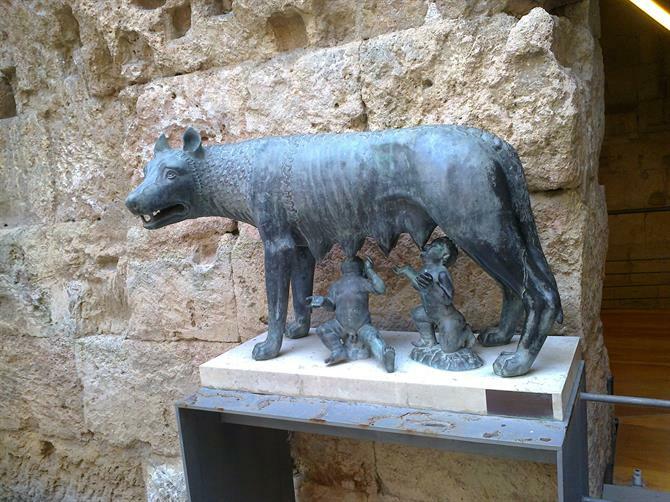 Next to the entrance, you will notice a symbol of Roman culture - a statue of the she-wolf Capitoline. The museum is open from 9:30am to 8:30pm during the summer season (June-August) and 9:30am to 6:00pm during the winter season (October-May). On public holidays it is open from 10:00am to 2:00pm. In the centre, are two preserved Roman forums and located on Av. de Ramón y Cajal is the ancient necropolis, just west of the Rambla Nova. The last element of Tarragona´s Roman remains is located 4km outside the city. The aqueduct, Pont de les Ferreres or Puente del Diablo (Devil's Bridge) was formerly used by the ancient inhabitants of Tarraco to transport drinking water from the river. 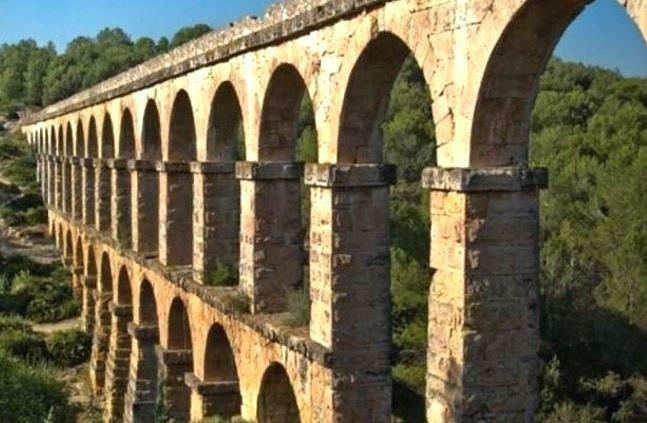 According to legend, a woman tired of carrying water from the river made a deal with the Devil, in one night he built the aqueduct in return for the woman´s soul. The structure is 217 metres long and 27 metres high and consists of two horizontal rows of arches. In the channel where water once flowed is now filled with strolling tourists. To reach the aqueduct, catch bus number 5 (direction San Salvador) from the main square in the city centre and get off at the Pont del Diable. Another famous landmark, which does not date back to ancient times, is the cathedral of Tarragona - Catedral de Santa Maria de Tarragona. This Romanesque-Gothic temple was constructed on a Latin cross layout, with three naves which tower above the city. The main facade of the cathedral features a huge rosette and the portal is decorated with statues of the apostles. 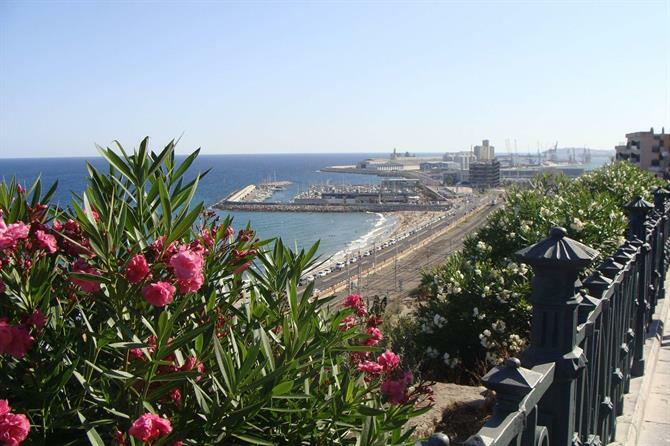 One of the most important places on the tourist map is Balcon de Mediterráneo - a vantage point offering a view of the city, where most come to admire the beauty of the Mediterranean Sea, is also the starting point of the Rambla Nova. Just like Barcelona´s famous La Rambla, this main street is always a lively hive of activity within the city. Along the Rambla Nova you will find good shops and boutiques, wine bars, cafes and restaurants. Have you heard about the human pyramids of Catalonia? 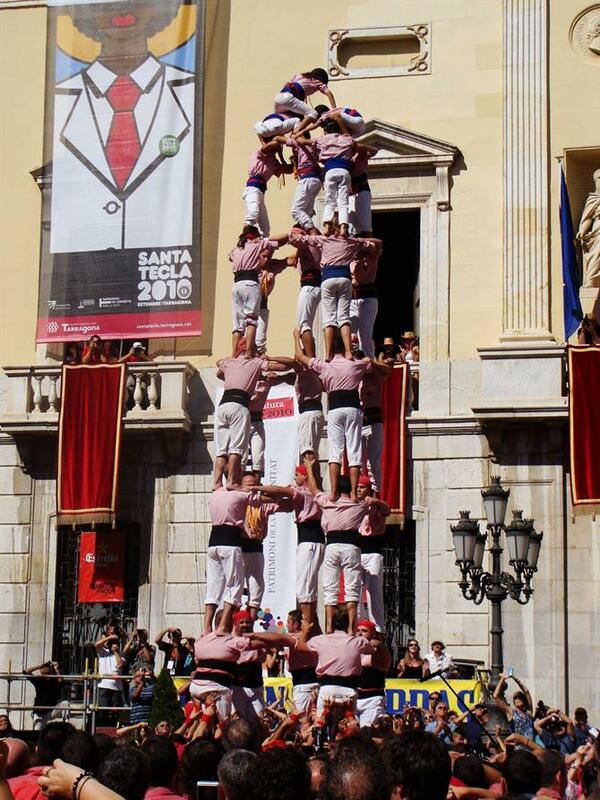 These human towers are a significant part of the culture of Catalonia, they are so deeply rooted in the local traditions of Tarragona that the people of the city built a monument in their honour. The Als Castellers monument, located on the Rambla Nova, is a life-size structure measuring 11 metres high and is made of 222 bronze figures. Don´t miss Tarragona´s landmark buildings and numerous fountains, which bring relief on hot summer days. The sound of water invites you to sit and relax after a busy day of sightseeing. One beautiful and noteworthy fountain is the Fuente del Centenario, which is located at the end of the Rambla Nova. Strolling the streets of the city you will encounter many charming squares and plazas. Look for this one, called Plaça dels Sedassos. Here you will find an interesting building, whose side facade proudly presents an attractive mural. The mural depicts balconies decorated with flowers and a group of decoratively dressed citizens. Finally, let´s not forget about Tarragona´s beautiful beach, Playa El Milagro. The golden sands of this Costa Dorada beach attracts visitors from all over and it offers a 980m stretch of sand as well as views of the port. The town has a very simple layout. From Barcelona at the Plaça Catalunya, catch the L3 metro line (direction Zona Universitaria) and get off at the Sants-Estacio station. Here, change trains and catch one in the direction of Reus. The journey takes about an hour, but you can´t get bored with the beautiful views along the coast. The train station in Tarragona is located right on the harbour. You can also catch a bus from Barcelona-Nord train station. Tarragona is just 13km from Reus airport and can be accessed by bus routes and regional and express trains. Discover the best ideas for things to do while on a family holiday in Tarragona, Costa Dorada. There is more to Tarragona than meets the eye. It is a wonderful city full of history, charm and of course, a golden beach! We gathered the best plans for your holiday in Tarragona. A city on the World Heritage List, on the beautiful coast of the Costa Dorada.